This is a high quality, heavy weight 100% cotton webbing. With rounded edges for comfort, this is a really substantial webbing which makes a very strong and long lasting bag strap. 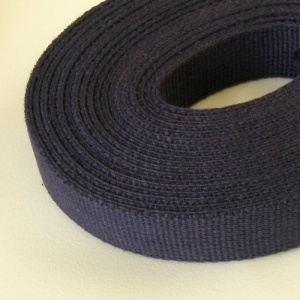 This is a 25mm (1 inch) wide navy blue webbing, sold here in a 2 metre length.